Charleston in South Carolina took its name from King Charles II of England, being named in his honour in 1670 and originally being called Charles Town. 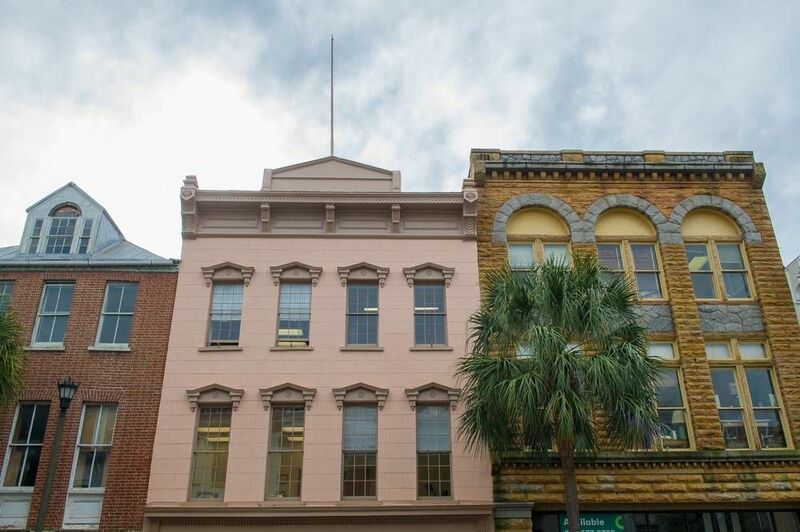 Charleston is a well renowned tourist destination and is well known for its well preserved architecture, popular restaurants and for the good manners of its citizens. In fact, Charleston has been frequently named as ‘America’s Friendliest City’. One of the friendly traditions of Charleston is to place a pineapple outside your house if you’d like to invite your friends and neighbours around for dinner! Charleston is frequently referred to as the ‘Holy City’ for a couple of reasons. Firstly, because churches and cathedrals are so prominent in what is a fairly low rise city. Secondly because it was one of the few original colonies to accept all Christian denominations. Charleston has many attractions for tourists. For lovers of theatre there is the famous Dock Street and Settle Theatres. America’s first ever museum was the Charleston Museum and it is still open today. The Powder Magazine is a museum which occupies the oldest building in Charleston, first opening in 1713. There are also famous yearly events held in Charleston which attract people from all over the world. America’s best known performing arts festival, the Spoleto Festival USA is a seventeen-day festival featuring over 100 performances by artists spread throughout the whole city. This tour takes you on a journey through one of America’s oldest cities. Charleston’s rich history is explored, from its beginnings as Charles Town to the churches that give it its nickname of the ‘Holy City’. See the elegant mansions and spires as you walk through the cobbled streets of the historic city. The city of Charleston was the wealthiest of America’s original colonies. This wealth can be seen through the architecture of the original homes and buildings and this tour will take you through the most famous examples. Many examples of different types of architecture can be seen throughout the city from Art Deco to Georgian, styles brought back by wealthy merchants as they returned from abroad. This two hour tour goes through approximately 1.5 miles. Charleston is one of America’s oldest cities. At over 350 years old it has plenty of history and when this history contains wars, slavery and pirates it is bound to contain some ghosts! This spooky tour takes you through the darker corners of the city. Reservations are required for this hour and a half tour which takes place at selected times throughout the summer. Below you can find more popular (but not free) activities and tours in Charleston. Are you from Charleston and want to be a tour guide? Please get in touch by submitting your details on this page!